The country’s most renowned annual interschool league for junior basketball players, the MILO-sponsored Basketball Efficiency and Scientific Training (BEST) Center Small Basketeers of the Philippines (SBP)-Passerelle Twin Tournament, is set to cap its 2014 season at the Magis Eagles Arena of the Sacred Heart School-Ateneo de Cebu in the Queen City of the South. On December 13 and 14, eight of the nation’s best junior basketball teams will go head-to-head for the coveted division crowns. 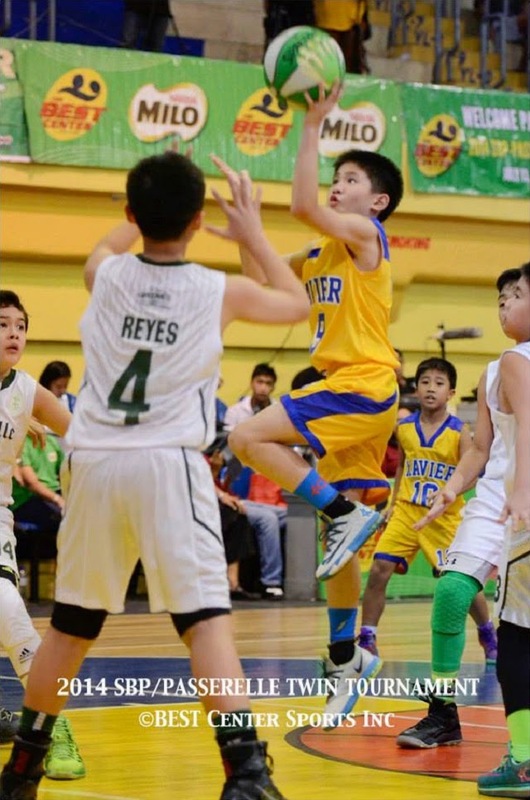 Xavier School will lead NCR’s tilt to grab the SBP championship title as they face regional rivals Berkeley School of Baguio (Luzon), Ateneo de Iloilo (Visayas), and Faith Christian School of Bukidnon (Mindanao). Vying for the Passerelle championship title are Chiang Kai Shek College (NCR), University of the Visayas (Visayas), Holy Child School of Davao (Mindanao) and Holy Angel School of Pampanga (Luzon). Since 1983, MILO and BEST Center have consistently pioneered sports development in the country by educating the youth with the fundamentals of the game using a scientific and systematized approach. Held in line with MILO’s commitment to building champions in sports and in life, the MILO-BEST Center’s SBP - Passerelle twin tournament furthers a shared vision of promoting sports from the grassroots level and developing the country’s next generation of basketball heroes. The SBP-Passerelle twin tournament has produced notable cagers, namely former PBA Philippine Cup finals Most Valuable Player Larry Fonacier, Rain or Shine Elasto Painters point guard Chris Tiu, Alaska Aces all-star guard JV Casio, former PBA Commissioner’s Cup Finals MVP James Yap and Gilas Pilipinas players LA Tenorio and Jeff Chan. For more details, please log on to the BEST Center Facebook page at https://www.facebook.com/pages/BEST-Center-Sports-Inc/66172039922. For more information on MILO Philippines, log on to the official website (http://www.milo.com.ph) or the MILO Philippines Facebook page (https://www.facebook.com/milo.ph). Follow MILO on Twitter (@MiloPH) and Instagram (@MiloPhilippines). A Blessed 2015 To All!